In the face of massive financial uncertainty, few people would choose to start a new company. CEO Michelle Wright set up Cause4 in 2009 as a direct response to global recession and the biting austerity which has followed in its wake. Geared towards fundraising across arts and culture sectors, Cause 4 supports ‘charitable organisations and causes to thrive and innovate,’ and is one of the first certified social enterprise B-Corporations in the UK. “I’d had a lot of experience with bigger consultancy companies. 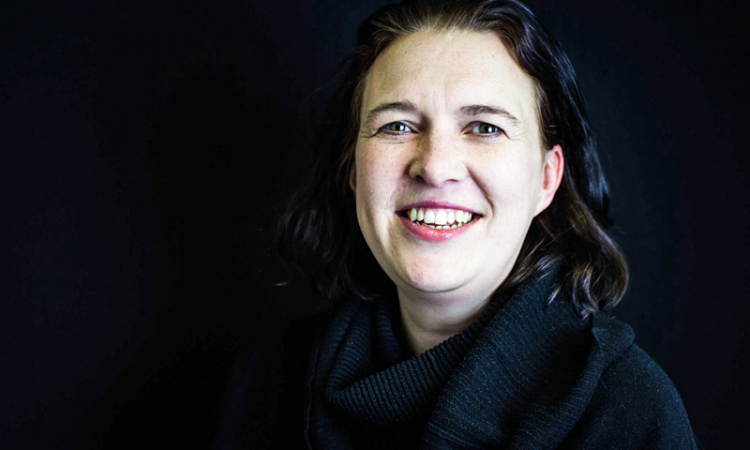 You can spend a lot of money and get a perfectly brilliant strategy, but if the steps aren’t there to implement it – or the culture isn’t right in the organisation to implement it – you might as well have not bothered,” says Michelle of her reasons for starting Cause4 ten years ago. Michelle started her career as a violinist playing in orchestras, and says that experience has proved invaluable in her new role. “What we’re finding is an over-reliance on particular areas of funding, like trusts and foundations, as well as under-confidence in approaching individuals or corporations. I think people psychologically (prefer) trusts and foundations because quite often you’re just filling in a form, and often you don’t even need to speak to anybody! Does she think that smaller arts organisations cannot see the wider picture, that they might be too inward looking? Since 2012, Cause4 has been working on fundraising in the arts (becoming an Arts Council England Sector Support organisation in April last year) alongside its two main partners, the Arts Marketing Association, which seeks to connect organisations with audiences, and the University of Leeds which helps run a summer Leadership school and the Fellowship Programme. The model has proved so successful that Cause4’s links with Leeds University have expanded to include regular leadership schools, a collaborative e-learning project, and an internationally accredited Professional Certificate in Arts Fundraising, the first of its kind. Data and audiences offer some measure of success, but how about less tangible outcomes? That word ‘resilience’ can be problematic, arousing suspicion among individuals and small organisations that creativity is purely viewed in broad business terms and that therefore larger arts organisations are likely to prevail. “We’ve got to work hard to break down some of that understanding. What worries me is that people have very strong opinions and quite often decisions can get made just on one individual’s strong opinion. A lot of the work I’m doing is determining a consensus on an organisational position, to take in all views and consider what we actually want to achieve. In the Roman Circus of arts funding, some contestants are better at generating income than others. Perhaps this latter group, those either alienated or confused by the entire process, have most to gain from Cause4’s guidance. It is an area Michelle, wearing her Arts Funding and Philanthropy hat, is keen to explore in collaboration with the culture vulture. Further details of the organisation’s work can be found here. If you would like to follow this story as it develops, subscribe to our newsletter for announcements of any future events.